Ann qualified from Bristol University in 1993. After 5 years in mixed practice she has spent the rest of her career working primarily with small animals. For 7 years prior to moving to Somerset she worked in a very busy RSPCA animal hospital leading a team of five veterinary surgeons. She therefore has a wealth of experience in both medicine and surgery. In her spare time (not that she has much!) she enjoys playing the violin and piano and spending time with her many and varied pets. Scott qualified in 2004 although he has been working in veterinary practices since 1993. 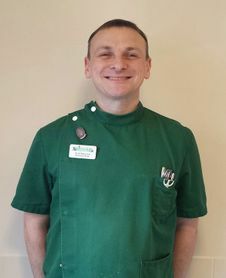 He has held various positions including Head Nurse in private practice and Staff Nurse in an RSPCA animal hospital where he was responsible for the training and mentoring of other nursing staff. He has a special interest in canine behaviour but has comprehensive knowledge in relation to nursing and caring for pets. 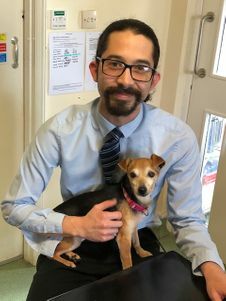 In his spare time he enjoys training his dogs in agility and obedience.Both Scott and Ann not only enjoy working with animals but living with them as well. They currently have dogs, cats, parrots, tortoises, guinea pigs, chinchillas, chickens, ducks, geese, sheep, goats, llamas, donkeys, a pig called Sid, tropical fish and many aviary birds. Details and photo coming soon! as a locum Vet for his foster practice until joining us permanently in late 2018.
day (including evenings) apart from Mondays, and 1 Saturday per month. him after a few short weeks of being in our team! 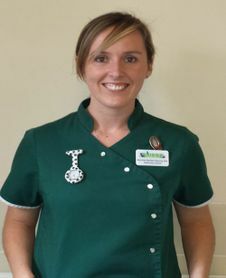 Rachel gained a National diploma in Animal Management from Cannington College in 2005, she then worked at a veterinary hospital in Bridgwater to pursue her veterinary nurse training and qualified in 2011. She then underwent further training to enable her to train student nurses and be a clinical coach. Rachel lives with her Husband Andy and son Jake and the family have 3 cats, Vinnie, Joey and Stan. In her spare time Rachel enjoys swimming and family days out. Chloe has been with us for 2 years now and in veterinary practice for 4 years altogether. Consulting Nurse role and we have no doubt she will blossom into this role after qualifying. 'Bramble' who you will often see relaxing at the surgery! Jenny has been with us since 2004. She is our key point of contact for any enquiries relating to our Practice Plan and having completed further training with the Hill's Veterinary Nutrition Advisor Programme Level 1, Petplan Insurance and Dorwest Herbs adviser courses, is able assist with any queries and provides excellent customer care. She is a trustee and on the fundraising committee for the local RSPCA branch in Brent Knoll, she fosters animals and volunteers weekly at the cattery. You will usually find her helping out at the many events the RSPCA hold throughout the year. Jenny has 2 cats Pete and Bumble, a ferret Debbie, tropical fish, mice, gerbils and land snails. 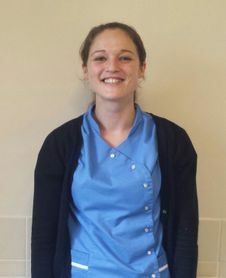 Sadie previously worked in a busy local medical centre for 13 years, before joining us in December 2014. She lives with her Husband Jay and their youngest daughter Bethany, her eldest daughter Jemma is at University. The family have a Rottweiler called Bo. 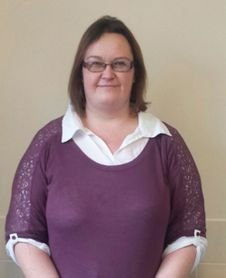 In her spare time Sadie enjoys cycling, keeping fit, reading and spending time with her family. 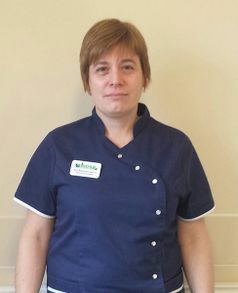 Vanessa joins us with a long experienced history in veterinary practice, a lot of it locally. 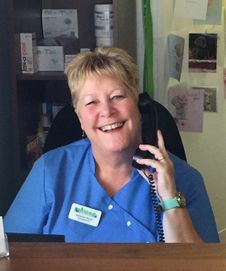 She bring a wealth of experience and loves nothing better than a good old natter to our clients in the waiting room! In her spare time she is an avid crafter and shares her home with her 2 cherished cats and husband. to welcoming her back to the surgery very soon (it's very quiet without her!). 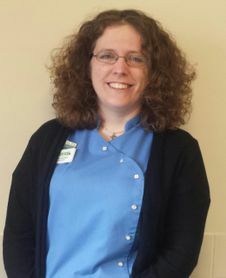 Emma qualified as a veterinary nurse in 2001, after 9 years in practice she became the Deputy Manager of the local RSPCA rehoming centre in Brent Knoll, where she could better follow her passion for welfare. 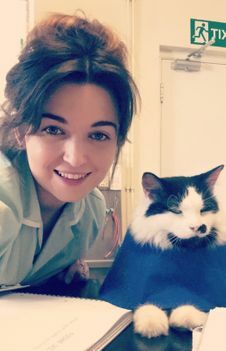 Bridge Veterinary Surgery works very closely with the RSPCA centre, which meant that Emma could often assist as a locum nurse for them when needed, so her face may look familiar! After having her daughter in early 2015, she joined the team permanently as Practice Manager (so is usually hidden in the office) although you may see her in other roles when staff are on holiday. In her spare time she loves doing 'mummy things', camping and fishing with her husband Matt. After years of having bull terriers and all sorts of rescue waifs and strays they are having a rest from animals to concentrate on their 2-legged creature! Vector was a stray with a non healing wound, he came to us via the local RSPCA branch and is now our resident cat. You will find him behind reception, where he likes to snooze and keep an eye on what's going on during the day. 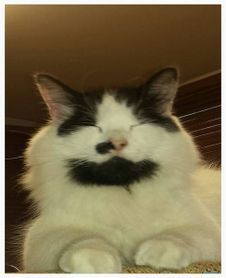 He is very friendly, loves food and being groomed.